One of my older brothers, Robert, was a pretty big influence on me musically in my pre-teen years. 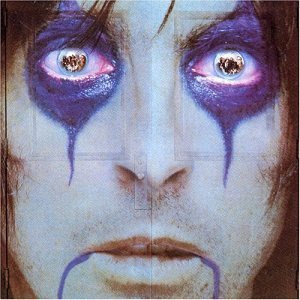 He was the one who got me into KISS, Priest, RUSH, Uriah Heep, The Stones, The Who and thankfully Alice Cooper. Now, I’m not the biggest Cooper fan in the world even though I own pretty much everything up to and including Constrictor. But some of his albums are very special to me…especially From The Inside. This seems to be one that alot of Cooper fans love to hate. For me it’s brilliant. Sure it got slick production and had songwriting credits from Bernie Taupin (Elton John) and guitar work from Steve Lukather (Toto). Philip Bailey even adds a cameo falsetto on the album albeit uncredited. Throughout the late 70s and early 80s I spun this album a lot. I know every lick and sound on this album by heart. I can recite it in my sleep. When we lived on the farm, Thomas would come over from time to time and hang out and we’d spin this one. I remember he especially liked the closing track “Inmates (We’re All Crazy)’. C’mon. I was under 12 years old, I had no clue. haha. In case you didn’t know and have been living under a rock, this is a concept album about living in a mental institution. Sure, a bit cliche for Cooper but it worked. I really like “Millie and Billie”, “For Veronica’s Sake” and especially “Jackknife Johnny”, “How You Gonna See Me Now” and “The Quiet Room”. Cooper really displays the sadness and depression of the characters in these songs. And of course when I spin this on CD now, it really takes me back to those days in the late 70s and early 80s…far simpler times. I mean really, what worries did I have when I was 10 or 11? Not too many. Mostly just worried about my brother and the trouble he was getting into. That really did take a toll on me at a young age. I looked up to him a lot and watched him go down some pretty bad paths. Unfortunately I couldn’t help him although I wanted to. I felt it was my job. But there was nothing I could do, especially being 6 years younger than him. I was his bratty little brother and with the things he was getting into, we weren’t as close as we were when we were both younger. I will say that even today I am surprised that he’s still alive. I had to learn at a young age that I couldn’t live his life for him…a life lesson for me. A difficult lesson when it’s about someone that you love and looked up to. So again, when I listen to this album and think about the time when I first heard it (I was 8 and he was 14), those were good times…sunny days…but really the beginnings of some dark years ahead. Don’t you have better things to do with your time and our tax money? Thought so. I guess it was late 1987. 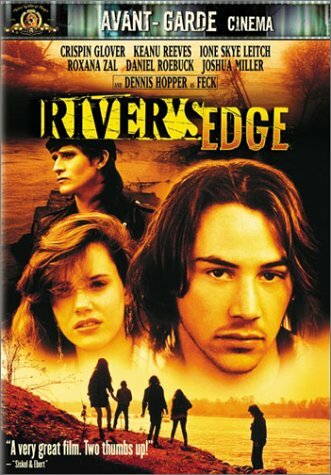 I went over to my friend Don’s house to see River’s Edge on HBO. He had cable and I believe it was a Sunday night showing of the flick. Unfortunately it was a 9PM showing and it was also a school night. I only got to see the first hour of it because of my stupid curfew. The main reason any of us wanted to see the movie is because we had read that Slayer and Fates Warning were in the soundtrack. I finally got to see it in full about a year or 2 later when I found it for rent on VHS…or maybe I bought it. I don’t quite remember. I just remember watching it several times; both then and now. This is in my top 5 or 10 movies of all time. not only because of the soundtrack, but because of the movie itself. Crispin Glover and Dennis Hopper have some great one-liners. “I know, Feck. You had to kill her. Women are evil.” “You…know this?” and the greatest line delivered by anyone in the flick was by *gasp* Keanu Reeves (worst actor ever? maybe). The scene (shown below) is between Matt and Jim (Matt’s mom’s boyfriend). Really it’s the whole conversation, but when Matt replies to Jim calling him a “mother fucker” with “foodeater!”, it’s simply awesome. But yeah, the whole movie rules. I think I have watched it at least 50 times and watch it at least twice a year. Really, Glover’s character makes this movie what it is and Hopper’s performance is right behind it. Daniel Roebuck plays a perfect role as someone who really doesn’t give a damn about anything. The character of Tony has a great line too. He’s getting interviewed by a reporter talking about how it’s hard to be subjective because he knew the perpetrator in question…then he stops and says, “Oh, by the way I play guitar.” hahaha. Awesome! If you’ve never seen it, please do so, especially if you were a metal kid of the 80s. 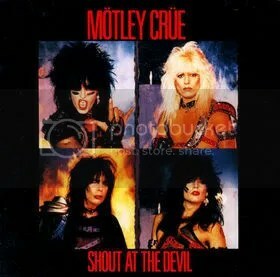 My first recollection of hearing Crue was probably on the radio (K-94 or FM-99) when they first played Looks That Kill. Maybe it was on Metal Shop? Not really sure. But I do specifically remember when I first heard the album in its entirety. It was late fall of 1983 and I was on a camping trip with the Scouts. Hunter March, one of the older guys in the troop, said, “Hey Sean, you like metal, check this out.” So I popped the Shout at the Devil tape in my Walkman and freaked out. The opening track sort of wigged me out. It was pretty evil for the time. Then they started singing about the devil and things seemed right in the world again. hahaha. I listened to the tape all that night and was hooked. This band had quite a different sound. A good sound. Now, if you’ve been paying any attention at all to my older blogs, you know that my mom didn’t approve of the metal in general. She got swooped in by some other parents at my church that it was of the devil. You know, the whole KISS = knights in satan’s service type crap. We had to be subjected to some anti-heavy metal seminars from guys like Albert Long who would stand on stage in front of us showing metal videos, album covers and reading lyrics trying to convince us that rock and roll was going to send us to hell. Little did he know that he was opening us up to a whole new world of bands! Thanks Albert! One weekend we took a church trip to somewhere in North Carolina to see one of his seminars. While there we visited some mall and I bought 2 7″ records…Huey Lewis’ Finally Found a Home (b/w Walking on a Thin Line) and Crue’s Looks That Kill (b/w Piece of Your Action). Funnily enough I am pretty sure Mr. Long was pounding on the Crue during his seminar. That stuff was pretty jank, ya know, those seminars. Hearing him say that Angus Young was possessed by the devil was absolutely hilarious. One of my favorites was when he showed the video for Twisted Sister’s You Can’t Stop Rock and Roll. Satanic? Really? Dude. C’mon. Anyway, I wish I still had that Crue 45. I really love this album except for Helter Skelter. I’m not a Beatles fan in the least and don’t really care to hear covers of their songs (exception being Sacred Rite’s Eleanor Rigby). Danger, Ten Seconds To Love and Too Young To Fall In Love are my faves. There is a pretty funny and somewhat embarassing story attached to Looks That Kill. I went over to Kelz’ house as his band was jamming. They ripped into Looks That Kill and I grabbed the mic and started singing it (poorly, I’m sure). Kelz’ mom busts in the jam room and asks what song that was and if we knew the lyrics. Like a dumbass, I spoke up. D’oh. It’s not like it’s a bad song, but the fact that it was Crue sent her over the edge (again). She was pretty much the mastermind of the “metal is evil” campaign. I guess they all meant well but at the time it sucked for us. Having to hide tapes and trade them secretly really sucked. Anyways, Crue ruled on this album…not so much afterwards.